Live streaming started out as a totally spontaneous and in the moment kind of content and it still is when it comes to personal live streams. 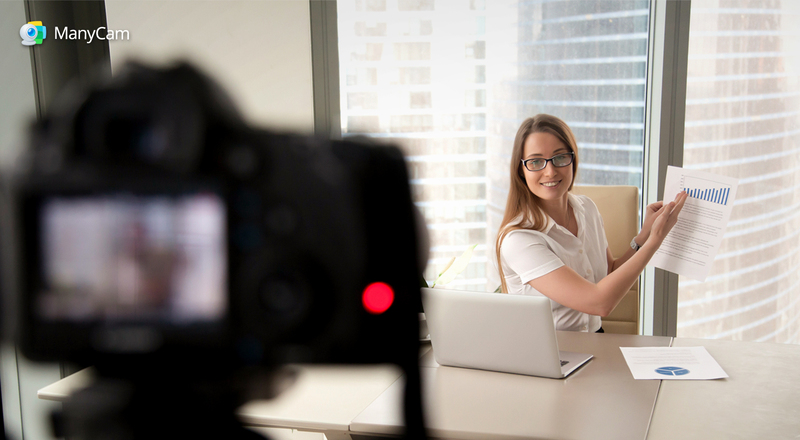 But, professionally, as a business or personal brand, you need to put in the time to produce a successful live streaming video and make the most of your efforts. Here we talk about certain topics you need to address in order to produce a successful live streaming video, regardless of the type of live streaming you plan to do. Having a clear goal is essential to produce a successful live streaming video, because it will guide during the development of the content. More importantly, it will give you a way to measure the actual success. Let’s assume you did a live product demo and your goal was to increase sales. At the end of it, you got the record number of viewers, thousands of people watched you. That’s great! But, sales did not increase. So, there might be a couple of improvements needed. Success can mean a lot of things. What is considered successful to one live stream, might not be for another. That’s why defining beforehand what will be considered successful can come in handy. As you probably heard out there, content is king. There’s an information overload happening and you need to stand out. Take your time to create quality content that really brings people value. Bring something new and exciting to the table. Make sure you share the content in a comprehensive and compelling way. Live video gives you the opportunity to rely on images, such as slide decks, examples and pre-recorded videos. There are many types of content you can share in live videos, which to choose will depend on your goals. And here comes the queen, promotion. Without her, your content will collect dust on your channels. Promoting your live stream is how you get your audience to watch you. You need to go all out and let people know when you’ll go live and why it will be important for them to watch you. What value will you bring them? Here, is not about promising people the world, because later you’ll need to deliver. It’s about showing them the true value of your live stream. Ask your partners to promote your live stream too and you can give them a special mention during the stream. Get creative. When going live, it’s better to increase your presence and distribution than going live in one platform only. Learn more about live streaming to multiple platforms at the same time. When creating your content and promotion, keep in mind that people have a fear of missing out, currently known as FOMO. You need to have a compelling reason for your live streaming video to be, well, live. Having a strong reason will allow you to play around with your audience’s FOMO. To produce a successful live streaming video, you need to give people a strong reason to stop what they are doing and spend their precious time on your video. Thinking about their fear of missing out can help. Creating amazing content and promoting effectively won’t mean much if the delivery is weak. As we mentioned before, images and videos can really help the delivery. But, the success relies heavily on the host of the live video. It’s up to the host to deliver the content in a comprehensive and enthusiastic way. The broadcaster needs to bring a certain level of energy to the live stream that gets people excited about the topics. A successful live streaming video is interactive and gets people engaged. Since it’s live, your audience expects you to interact with them, get them to participate by answering your questions or asking them. You can also say hi to some of them by name before getting into the presentation. Every interaction will make them feel part of the video, which is what get people into live videos. Make sure people are engaged and keep bringing their focus back to you live video, because people can get easily distracted. There are many tasks involved in producing a successful live streaming video. So, to make it easier on you, get a few people to help you. While you deliver the content, live, you can get someone to focus on the chat of the streaming. This person can interact with your audience, answer some of the questions, get their information if needed and moderate the chat. To produce a successful live streaming video is not easy but it can be done. Just take your time to prepare it and keep these topics in mind. With every live video you produce, things will become easier and easier. Practicing will get you there!